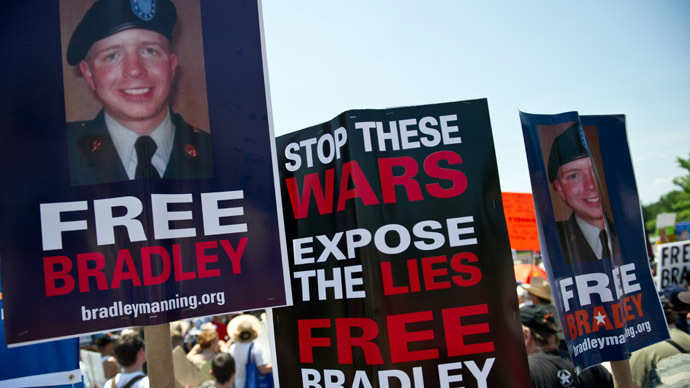 As the trial of Army Private Bradley Manning nears to an end, attorneys for the WikiLeaks source made closing remarks on Friday meant to counter the prosecution’s claim that the soldier intentionally aided America’s adversaries. 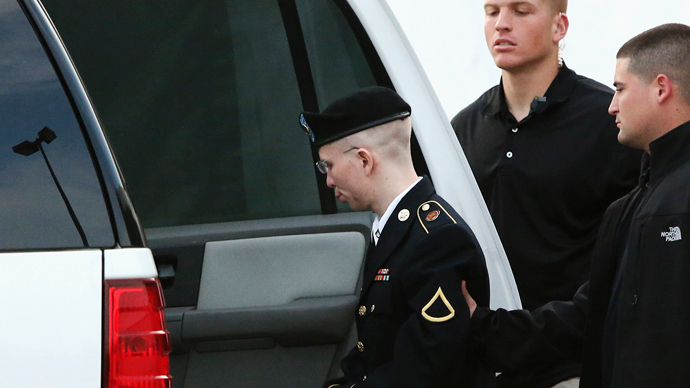 Judge Col. Denise Lind is expected to present her verdict in the coming week and will be the sole party responsible for convicting and sentencing Manning, a 25-year-old private first class charged with the largest intelligence leak in United States history. 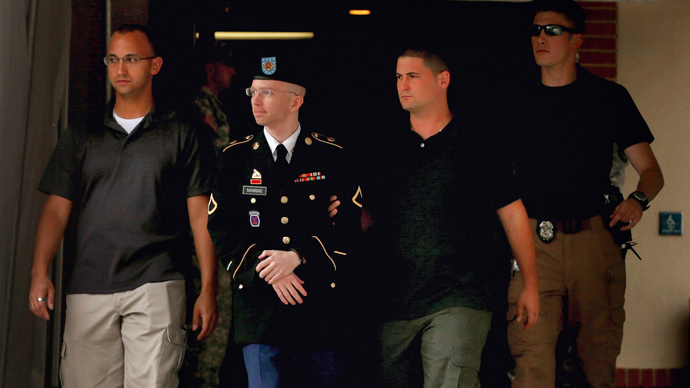 Only days before Col. Lind is expected to announce her verdict and sentence Manning, attorney David Coombs began the defense’s closing remarks Friday morning by questioning the statements made one day earlier by government prosecutors. “He was not a humanist, he was a hacker. He was not a whistleblower, he was a traitor,” Fein told the court, according to the Guardian’s Ed Pilkington. When Coombs had his chance to present closing remarks Friday morning, he challenged Fein’s opinion by again portraying Pfc. Manning as someone not interested in harming America, but rather a person who desired to raise awareness of the atrocities being committed in the name of his country. If Col. Lind elects to side with the prosecution, she could convict Manning of "aiding the enemy," and as a result offer Manning a sentence of life behind bars. The soldier faces an addition 20 counts for his admitted role in sending large tomes of intelligence to the anti-secrecy website. That data — field reports from the Afghan and Iraq wars, Guantanamo Bay detainee profiles, over 250,000 diplomatic State Department cables and other information — was shared with WikiLeaks after Manning was deployed to Iraq in 2009. He confessed to an online confidant the following May and was arrested in Iraq days later. “Hypothetical question: If you had free reign [sic] over classified networks for long periods of time ... say, eight to nine ... and you saw incredible things, awful things ... things that belonged in the public domain, and not on some server stored in a dark room in Washington DC ... what would you do?” Manning asked computer hacker Adrian Lamo in one of those May 2010 Internet chats. But during the prosecution’s closing arguments on Thursday, Maj. Fein attempted to paint a much different picture of the intelligence analyst. Later, Fein said Manning was not a “trouble, anguished or well intentioned soldier struggling with the consequences of US military action or foreign policy” as the defense has portrayed him, instead labeling him as a narcissistic “information anarchist” hell-bent on bringing harm to the country he swore to protect. 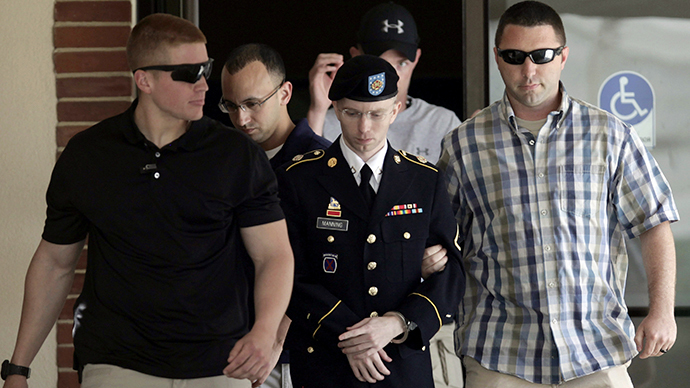 “Pfc Manning was calculating and self-interested. His acts resulted in the unfettered access to classified information by enemies of the United States, an outcome all too clear to him as a result of his training,” Fein said. Prosecutors said that by releasing documents to WikiLeaks that were later published openly on the Web, Manning indirectly aided al-Qaeda in the Arabian Peninsula. The government presented evidence during the court-martial that former al-Qaeda leader Osama bin Laden specifically requested documents hosted by WikiLeaks, and Fein said during closing arguments that Manning was aware this would happen. 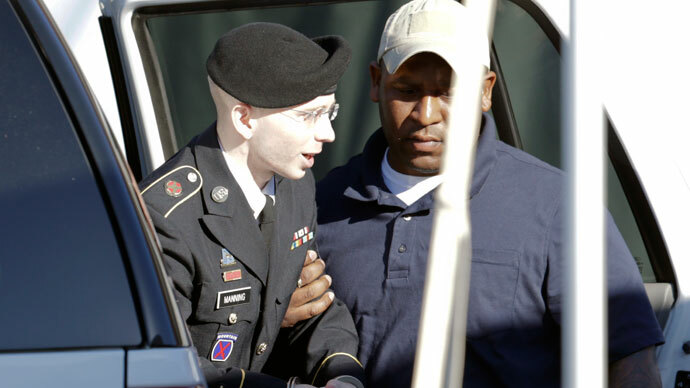 “How did Pfc Manning know the enemy would receive this information? He's aware of how WikiLeaks operated and the type of information they sought. He knew that what he provided to WikiLeaks would make its way to the enemy because he knew the enemy used WikiLeaks as their own resource,” Fein said. As court broke for lunch Friday morning, journalists at the Ft. Meade media center began filing reports on the defense’s closing remarks that were offered by Coombs to contest the claims made against his client. “The government gave a diatribe yesterday, and a lot of it is not based on truth,” Coombs told the court, according to Pilkington. "One of us is not telling you the truth," Courthouse News reporter Adam Klasfeld said Coombs told the court. "There is no way to look at the facts and see what Maj. Fein said yesterday." “Their story is not consistent with the facts or even internally consistent," RT reporter Liz Wahl quoted Coombs from the courtroom. 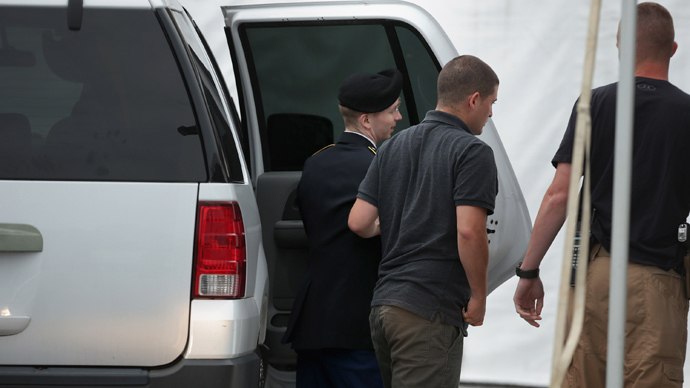 The court-martial of Bradley Manning has been underway at the Ft. Meade Army Base in suburban Baltimore, Maryland since the first week of June following more than 1,100 days of pretrial detention. Sentencing is tentatively scheduled for Wednesday, July 31. According to several of the journalists who have been covering the trial, such as Kevin Gosztola of FireDogLake, security at Ft. Meade was far more intense during the closing arguments than it had been in the past 18 months. The reporters noted armed military police in the designated press area, which is about a quarter of a mile away from the actual courtroom, standing directly behind them as they worked via their laptops. The New York Times, which noted the appearance of armed officers in camouflage fatigues closely looking over the journalists’ shoulders, reported that no explanation had been given for those particular measures. The Huffington Post, which then followed up on the unusual security, reported that the Military District of Washington responded in a statement that the new security measures came directly from the judge in response to "repeat violations of the rules of the court both in the courtroom and the media operations center," though the statement did not include an elaboration on what those rules were.